Another great shoe from our friends at Vivobarefoot. The Ryder Boot is perfect to keep your feet warm and dry with the upcoming fall/winter weather. 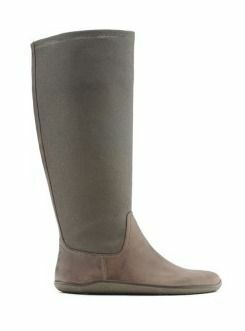 These knee high boots are designed with a combination of leather and organic waxed canvas and have a mesh lining to keep your feet from overheating but toasty with a furry topline lining. As with all their shoes, the ultra thin, puncture resistant sole gives you that comforable, barefoot experience. Another winner!